Are you tired of cleaning your bathtub? Is the color just not up to your liking? J’s Restoration can fix and resurface your existing bathtub making it look and feel as good as new. We would have your tub be ready to use in just a couple of days! The cost of having a resurface tub is super affordable. In fact you would save up 75% of the cost versus removing and replacing your tub. There's a quick, easy way to get a clean, like-new bath without the hassle and headache of an expensive remodel. At J’s Restoration, we offer bathtub refinishing as an affordable way to update your bathroom in Louisiana and Mississippi! We’ll extend the life of your tub by 10, 12, even 15 years! You’ll have a working bathroom in no time since we finish jobs in two days or less.  When you turn to J’s restoration with your bathtub refinishing needs, you’ll be left with a long-lasting finish that’s easy to clean. We’re available Monday through Sunday, so just give us a call! We are not painting your tub. We apply acrylic resins that bond to your bathtub giving it a beautiful and long-lasting finish. Surfaces that are silky smooth and durable are two of the things that make our restoration company the preferred refinishing service. Distasteful color – tired of that avocado green tub? Let us refinish it to glossy white. Difficult to clean – Call us if you just can’t get your tub clean! Chances are the surface is worn and just needs to be refinished. Clawfoot tubs – We can restore this antique to its original glory. Lack of time and/or budget for remodeling – Get the look and feel of new at a fraction of the cost and none of that demolition mess! We refinish all types of bathtubs including porcelain, fiberglass, acrylic, cast iron, clawfoot tubs and cultured marble tubs. We can even refinish your jetted tubs!